Sink into a giant outdoor bean bag chair wherever you want. It can be used both indoors and outdoors, so you’ll definitely make good use out of it. People may want to opt for an outdoor bean bag chair as opposed to a garden sun lounger or garden hammock, because it doesn’t need to be put in storage when it’s not in use. 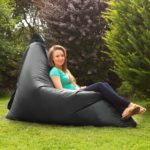 Models that allow you to use the giant bean bag chair outdoors as well are usually made from durable and weather resistant material. 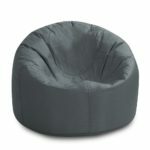 Bean bag chairs designed to be used indoors will have more choice of materials which you can choose from, some will probably be more comfortable but it can’t be used outdoors. Fortunately when buying a garden bean bag chair a lot less is likely to go wrong and you’ll probably be satisfied with your purchase even if you realised after there was another model you preferred. There may be one or two functions listed below you may not be aware of so it’s worth skimming through. Material – Since the large bean bag chair is designed for outdoor use as well, the material used has to be durable and weather resistant. Most of bean bags will be made from polyester. 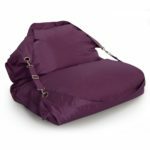 Filling included – All of the adult bean bag chairs will come with filling provided, so it’ll arrive ready to use or partly filled which you’ll have to stuff the rest of the filling inside. 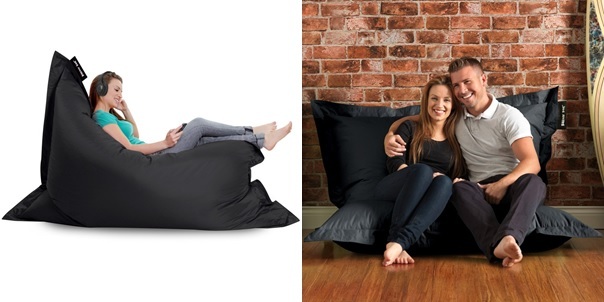 Multiple positions – One of the best things about bean bags are it can be placed in various different positions so you can sit, lay or slouch on it. Finding a position that suits you so you can get comfortable shouldn’t take long. Waterproof – Unlikely you’ll use it in the rain but let’s just say if a water fight breaks out when you’re relaxing on your giant outdoor bean bag chair, don’t worry as the material is waterproof so water won’t soak through. 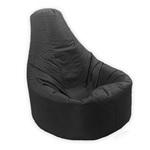 Furthermore, it can also be cleaned very easily since the bean bag can get dirty from being out in the garden. Adjustable straps – These adjustable straps are unique to the Bazaar Bag Flex, it helps to keep the bean bag chair in shape and remain in your desired position. 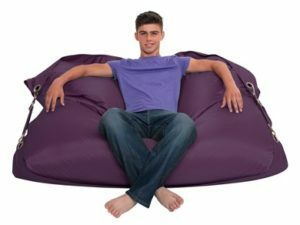 Dimensions – The size of the bean bag chair, larger ones will no doubt be able to seat two children and probably even two smaller adults. When it comes to buying outdoor furniture to sit on, there’s plenty to choose from, but there’ll usually be at least one option that’ll be suitable for you. Therefore by comparing them to one another it’ll give you an indication of what one would be better for you. In this case we’ll compare the giant outdoor bean bag to the sun lounger as there are some similarities. Saves space as when it’s not being used in the garden it’s probably going to be used in the bedroom or living room. Doesn’t have a maximum weight limit, although eventually the stitching will start to come loose due to wear and tear. Very large item so can only be moved around within the house and garden. Using it in the garden then using it indoors might have traces of dirt left on the bean bag unless it’s cleaned properly. Wider range of styles to choose from. Some models fold up making it easier to take to other places. Adjustable positions are locked in place. When it’s not being used it has to be stored in the shed or other garden storage. Can only be used outdoors.